Note: This entry has tons of links embedded with it to see all the things I’m referencing. A great review and walk through time for those of you that have been following for awhile. So great! I’ve had a great, relaxing, and restful week in California visiting friends and family. It was a long overdue visit with the family. With this age of skype and my communications with the blog, it feels like I’ve seen people and it’s shocking how quickly time goes by. I hadn’t seen my mom and step dad since they saw me in Yosemite on the PCT 4 years ago. I hadn’t seen my younger sister and nephew for 5yrs. The biggest one was that I hadn’t seen my grandmother for 18yrs…that one just shocks me! So yes, a long overdue visit and I was happy to have a full week to get in plenty of quality time. As a bonus, I saw a couple friends in the area including Jett Cat who I hiked the final three weeks of the Appalachian Trail with last summer, yay! 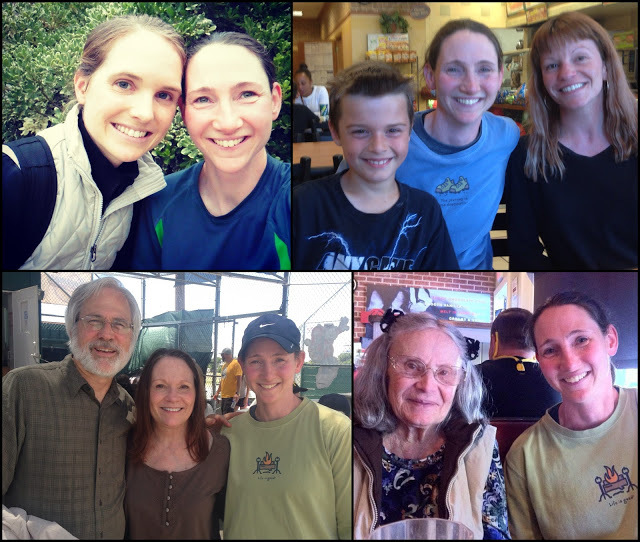 My week vising Jett Cat, my nephew, sister, step dad, mom, and grandma. This week also gave me the time off my feet that I needed. I think it was a combination of my getting older and the toughness of the ground along the Hayduke, but my feet and leg joints were very happy to get some time to rest. I also spent a lot of time planning the rest of this summer’s trips. The logistics for the Great Divide Trail are just about finished (more on that below!) and I have a fun stretch of trails and trips to hit as I drive north in California towards Portland. I’m REALLY EXCITED about the rest of the summer. Here’s what’s to come in the next three weeks…I’m going to take the time, while I have my laptop to type, to talk about friends I’ll be hiking with…these are some special people that many of you long time followers already know and are my trail family! It’s important to me to take the time to show how we all are connected and overlap over the years and come back together. Just love the way the trail does that! I start the Tahoe Rim Trail (165mi) tomorrow! A wonderful loop around Lake Tahoe…I CAN’T WAIT to be back in the TREES again! Oh how I love the trees and the colors! I am also looking foward to seeing sunsets and sunrises again. I’ve missed that greatly. The other exicting part about this is that I’ll be hiking with my good friend Rockin’. Most of you know already, but we’ve been friends for years and Rockin’ is one of my blogging mentors. We met when I did the PCT in 2011, did some of the JMT together in 2012, did some of the CDT together in 2013, and saw each other most recently in Death Valley over Thanksgiving. We are both bursting to spend the next 2.5 weeks together as I go up through California. 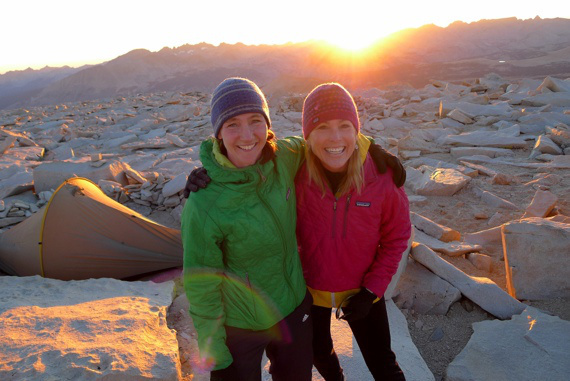 My favorite photo of me and Rockin…the time we spent the night ON TOP OF MT WHITNEY!!! As if hiking with Rockin’ wasn’t enough, another one of my hiking mentors, Why Not!? lives near the TRT and has decided to join us for the week! Why Not and I have been in touch (mostly through the interwebs) since I was preparing for the CDT in 2013. She is a triple crowner (and tons more!!!) that coincidentally did all the trails in the same order as me the year before me. When I finally took the leap to lighten my pack weight for the CDT, it was Why Not’s gear list that I used as a guide! 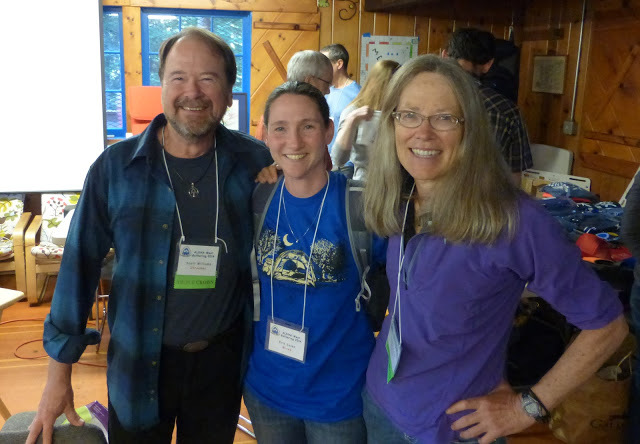 We have only overlapped at hiker events (got our triple crowns together!) briefly and we are excited to finally hike together! The fun begins tomorow! At the Gathering this fall where Shroomer, myself, and Why Not got our Triple Crown awards. Immediately after we finish the Tahoe Rim Trail, Rockin and I will drive to the Northern Coast to Hike the Lost Coast Trail. I’ll explain more about this remote and highly desired trail later on, but even more exciting is that we will be reunited with CDT 2013ers LoveNote and Drop-N-Roll!!! This trip will be a riot! In 2013, Rockin’ joined me in Colorado to section hike the CDT up to Montana. She ended up hiking most of it with the crew I started with that included LoveNote and Drop-N-Roll. I’m telling ya, the experiences we’ve all shared could fill a lifetime and it’s going to be a great time! 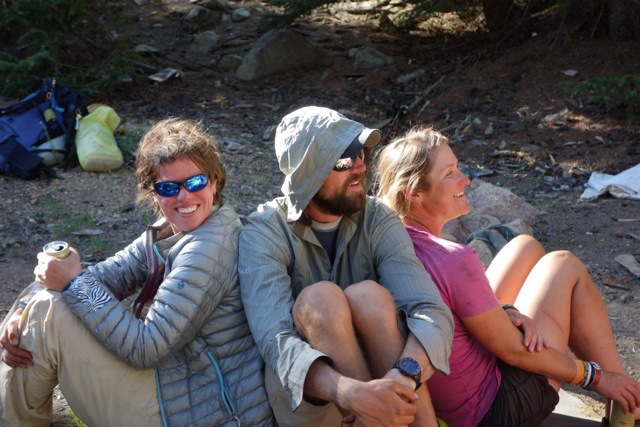 I met both LoveNote and Drop-N-Roll on the PCT in 2011 (full detail here) when we all did our thrus. We all started together for the CDT in 2013, and Drop-N-Roll lives in Portland. We were all four together over Thanksgiving this year…where, get this, Burly(aka Strider) and LoveNote bought a home in Lone Pine. Yes, the two who met at the border our first day on the CDT are getting married in August! They even still have their dog Huckleberry, who they adopted when he was found homeless in the final CDT town. Yep, the Lost Coast Trail may be short, but it’s gonna be packed full of FUN with this group! After the Lost Coast Trail, Rockin’ and I will drive a few hours north to finally visit the REDWOODS for the first time!!! We will be hosted by hikelighter.com blogger John Abela. John will give us the royal tour of his home area and take us to the best hikes and sites. We have yet to meet, but all three of us have been aware of each other through the blogosphere and it will be fun to get to know each other and see his neck of the woods, ha!